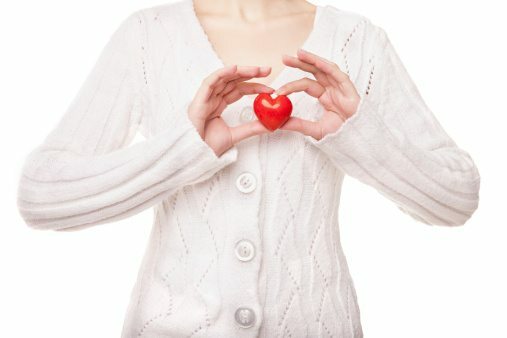 A new study has provided additional evidence that a link exists between an individual’s oral health and his or her heart health. According to researchers, an association between periodontal disease, including tooth loss and bleeding gums, and heart disease risk factors, such as high blood pressure and large waistline, has been uncovered. Based on this new evidence, researchers seem confident that a periodontal disease should be considered a risk factor for cardiovascular disease. The results of this most recent study were published in the European Journal of Preventive Cardiology. As part of the study, researchers examined nearly 16,000 people from 39 countries who were participating in the STABILITY trial, an international study of patients suffering from chronic coronary heart disease. Each participant involved in the study suffered from coronary heart disease and at least one known risk factor for the disease. Researchers asked the participants to complete a survey regarding their lifestyles, including oral health habits, in addition to how many teeth they had remaining and how often they suffered from bleeding gums. Participants also underwent blood tests and a physical examination. Approximately 70 percent of participants were former or current smokers. Of those surveyed, one-fourth reported experiencing bleeding gums after brushing; 41 percent reported having less than 15 teeth remaining, and 16 percent had lost all of their permanent teeth. Researchers discovered an association between not only several risk factors for heart disease and periodontal disease, they also discovered increased levels of biomarkers for heart disease and periodontal disease. The health community remains engaged in a debate on whether periodontal disease acts as an independent risk factor for coronary heart disease, as research has proven occasionally contradictory about links between these two diseases. However, based on the results of this latest study, researchers now feel confident that a connection does exist between these two chronic diseases. While this latest study provided further evidence to support a connection between mouth and heart, other older studies have also shown surprising links. A 2011 study presented to the American Heart Association found that individuals who had their teeth professionally clean at least once in their lives successfully decreased their risk of stroke and heart disease. This connection was even stronger among individuals who received yearly cleanings. Another study published in 2013 found that connection between obesity and gum disease, though researchers involved in that study did not specify which disease increased the risk for the other. Poor oral health has also been shown in other studies to possibly increase an individual’s risk of pancreatic cancer and the contraction of HPV. As additional research is released in the future, researchers hope a better understanding will emerge between how oral health can influence the rest of the body. Until that time, it becomes even more imperative that people of all ages continue to brush and floss daily, and receive regular dental care checkups. Failing to take oral health seriously could have far more serious consequences than just the loss of a few teeth. Looking for a new dental practice in Beaverton for you or your family? 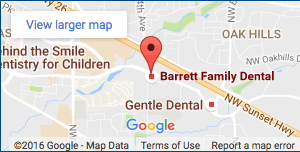 Contact Barrett Family Dental today! ← An Ancient Practice: Does Oil Swishing Actually Brighten Teeth?